I’ve been trying to venture out a bit lately. 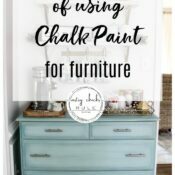 If you read my blog …at all….you know I LOVE Annie Sloan Chalk Paint. But I do love to use more than just that. 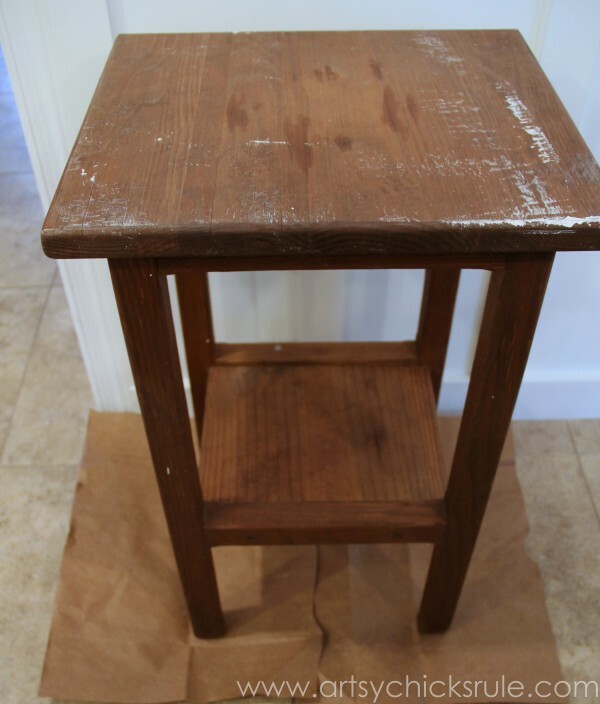 ..tiny little grain sack table. And I painted it with this …. 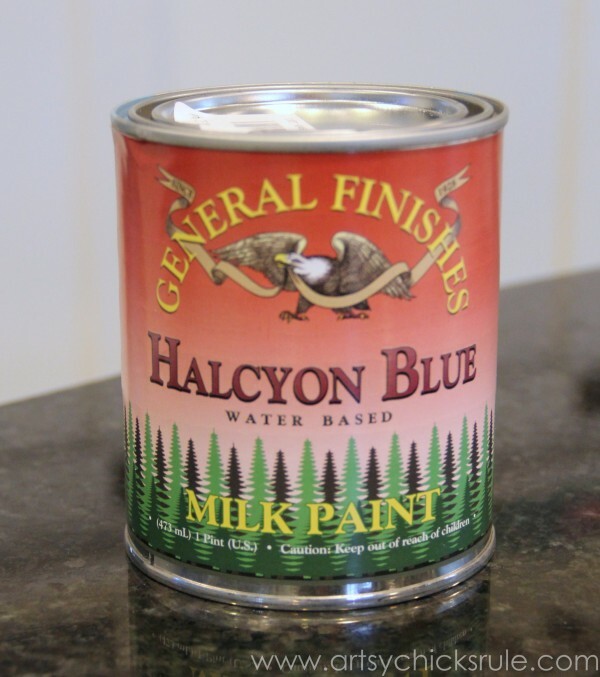 General Finishes Halcyon Blue Milk Paint…. 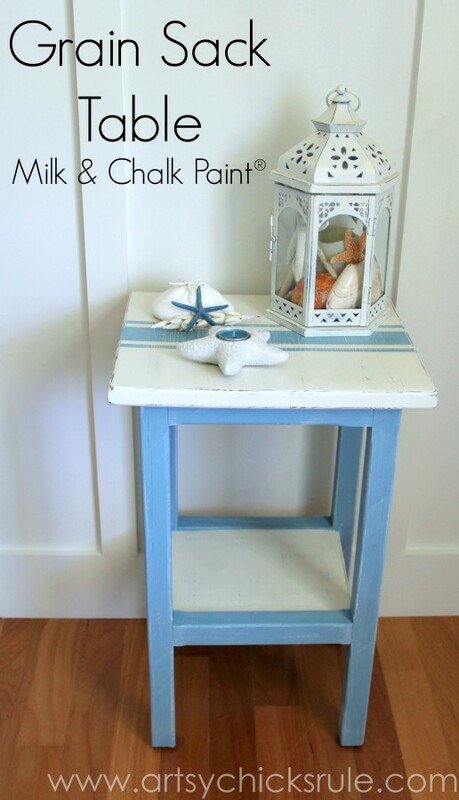 ….and Chalk Paint. 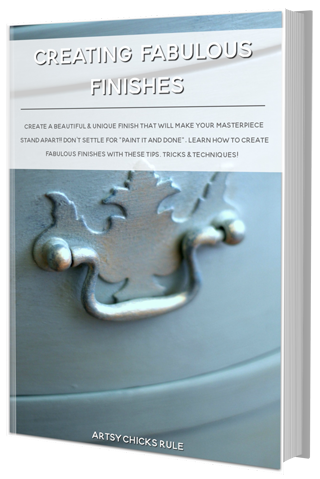 This “milk” paint is not your typical milk paint however. 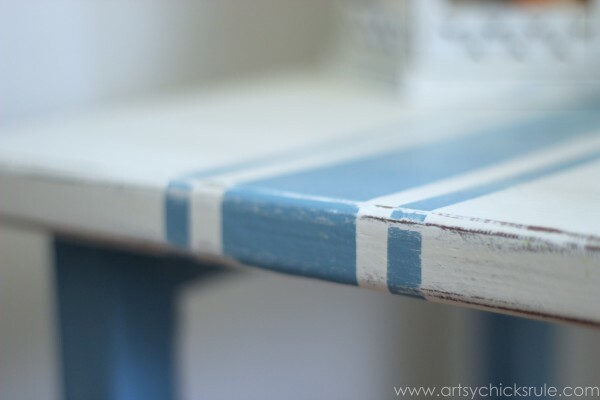 It sort of reminds me of a mix of Chalk and latex paint. I wanted to try it out on a small piece of (inexpensive) furniture first and this was the perfect piece. I picked it up for a few dollars last summer at a garage sale. It certainly has come in handy since then! I’ve used it as a “table” to paint things on. 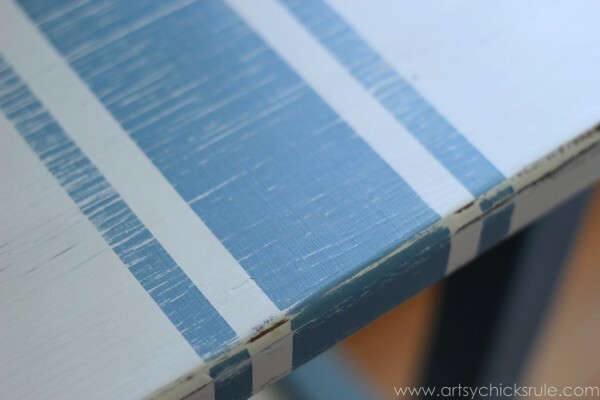 I decided to use Chalk Paint in Old White (mixed with Pure White) on the 2 flat areas so I could create the grain sack stripes with the Halcyon Blue. 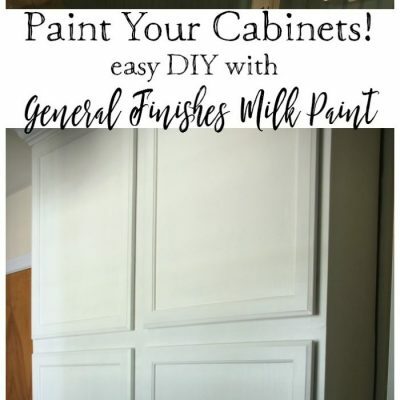 So how did the General Finishes Milk Paint apply? Really, just fabulous and coverage was amazing. 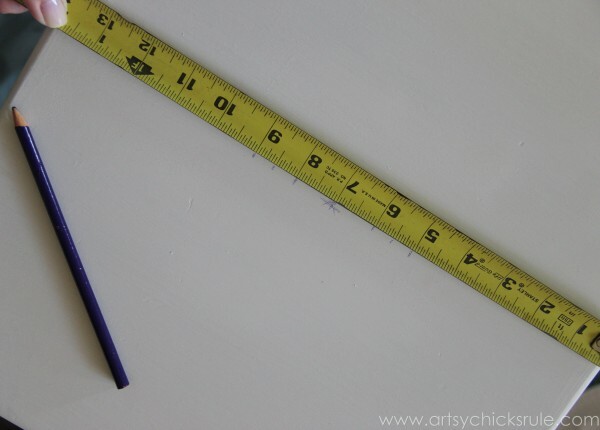 I measured for my lines…. Taped it off to paint. Easy! 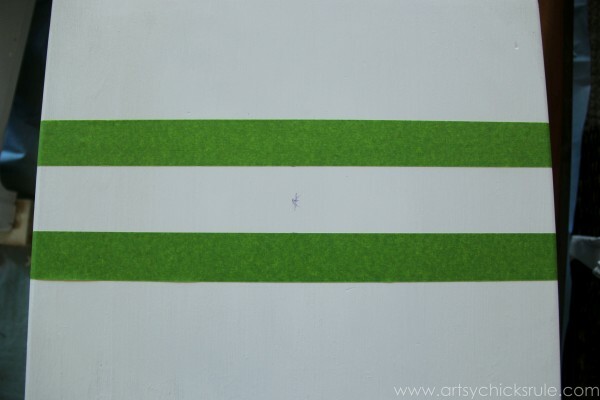 I repeated the process for the other 2 stripes. Done and before distressing. This table most definitely needed some of that. It was a little too “clean” looking. Distressed (much better!) 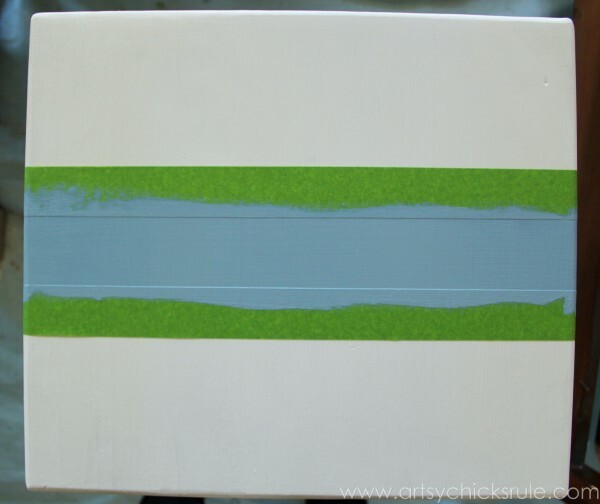 and I decided to give the Halcyon Blue a dry brush with the white instead of sanding/distressing. 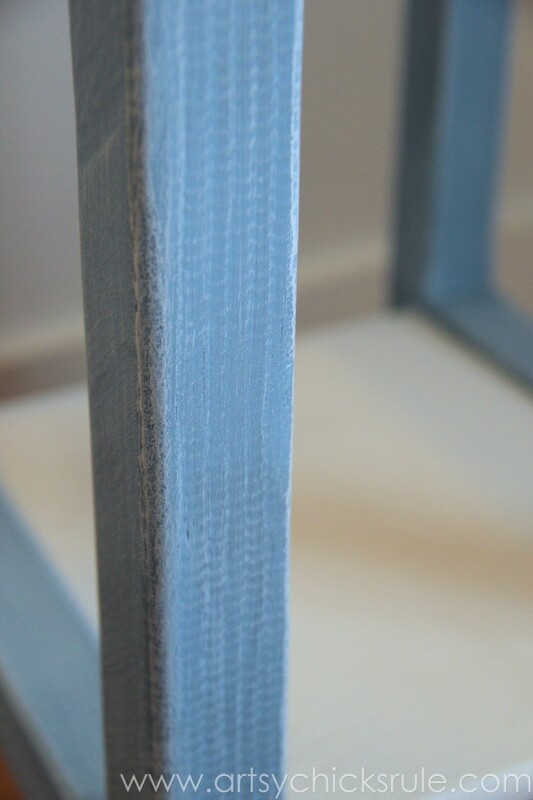 Here are a few close ups of the white dry brushing over that pretty blue…. And some close ups of the top…. 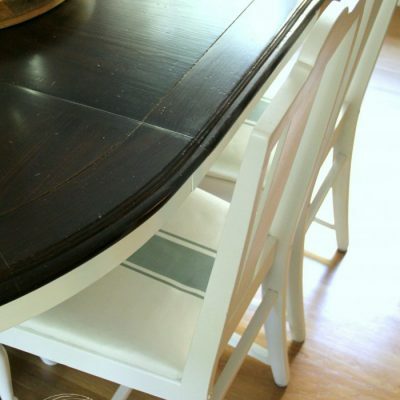 I sealed this table with Howard’s Citrus Shield Paste Wax. The verdict is still out on that. So there ya have it! A little painting fun with some new paint. Not too exciting of a piece but still better than before. 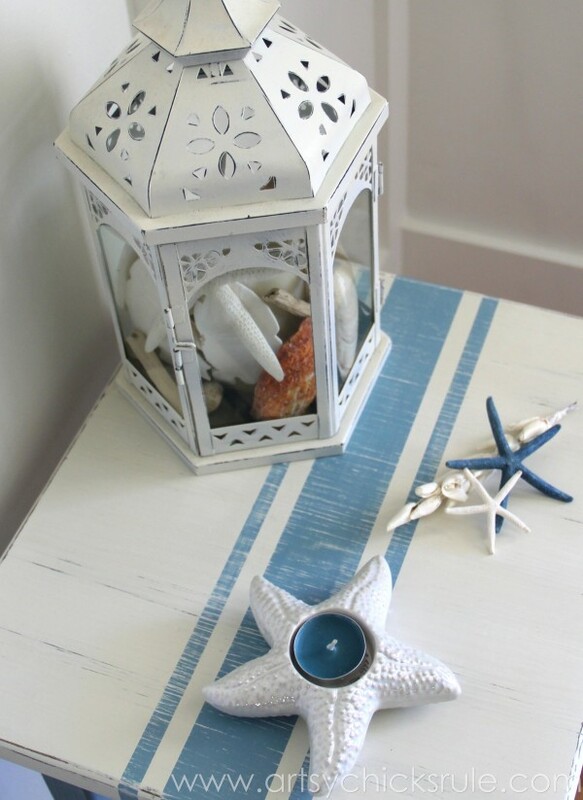 Kind of fun and nautical. I think I’ll be using this one on my back screened porch. Have you guys tried either of these products before? What do you think? 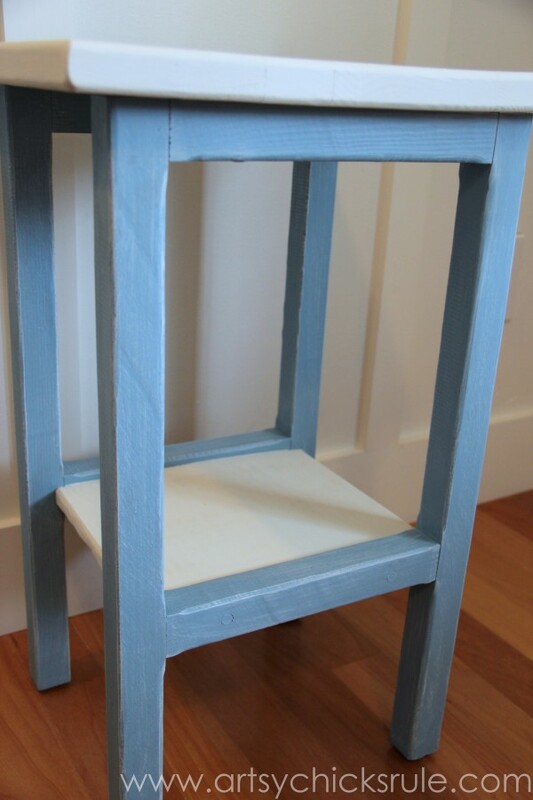 I will be painting another, totally different, piece with the General Finishes Milk Paint soon. I also bought the “Lamp Black“, which is a nice, true black shade. I’ll be posting to let you all know what I think once I do! 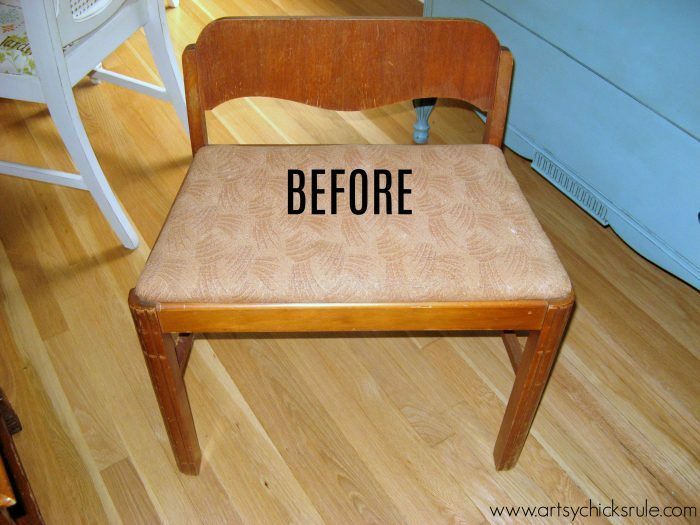 Be sure to check back in when I share this little vanity chair update! I always post projects and things I’m working on plus lots of fun (silly!) random dailies. Very nice! Love the blue! OH good to know! I’ve never tried their poly but am gonna give it a try too then! Ooh I love that you stepped out and tried something new. Always fun to try a different product. And I have to say your garage sale find is fabulous now. That is one happy Halcyon Blue. She’s a keeper. 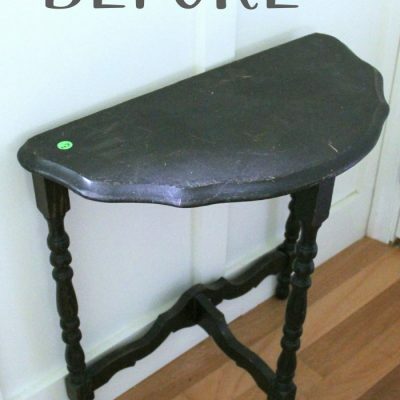 Loved everything but the distressing.I don’t paint something and then make it look old and worn out. Just my input. 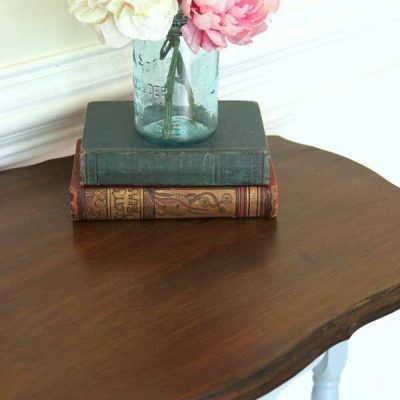 But I do love that little table! Love the blue color!! It turned out great!! Looking forward to trying out the black I got next! 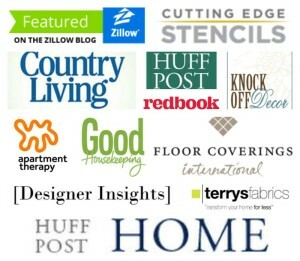 Love your table makeover. Thanks for the tips. I’m starting to branch out to larger furniture makeovers, slowly but surely. I love seeing a plain piece transform before my eyes. 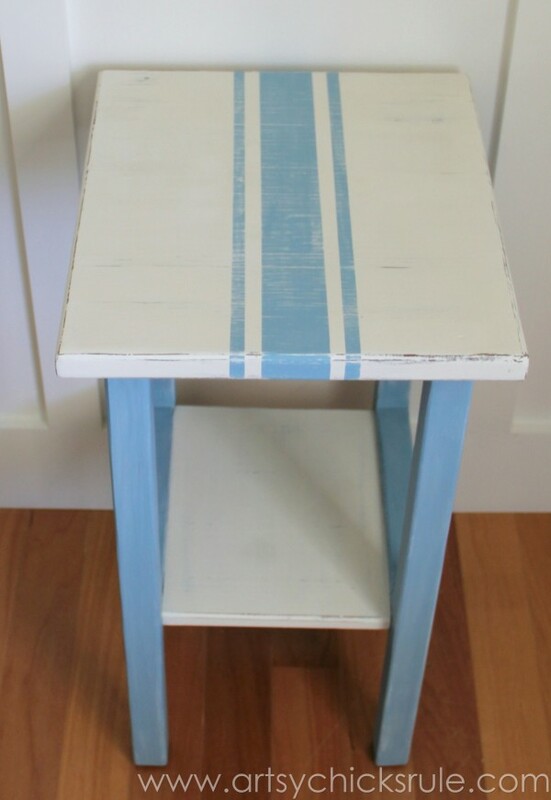 You KNOW I love this little table! So so pretty!! I’m going to have to find that paint too, love the coverage! Oh the coverage was fabulous…with this color anyway! I was very impressed. I can’t wait to try the black (and I may go get some more colors) to see how it does! 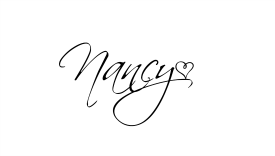 I love these colors, Nancy! I haven’t tried this product but I’m always up for trying new paints! Thanks Sonya! :) Me too! And seems like more so lately (trying new stuff). 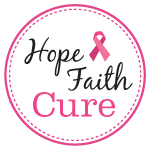 Can you post a link to where you purchased? 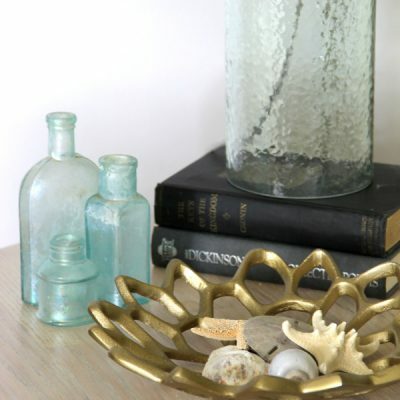 I have a small table like that I would love to try it on. thanks much! 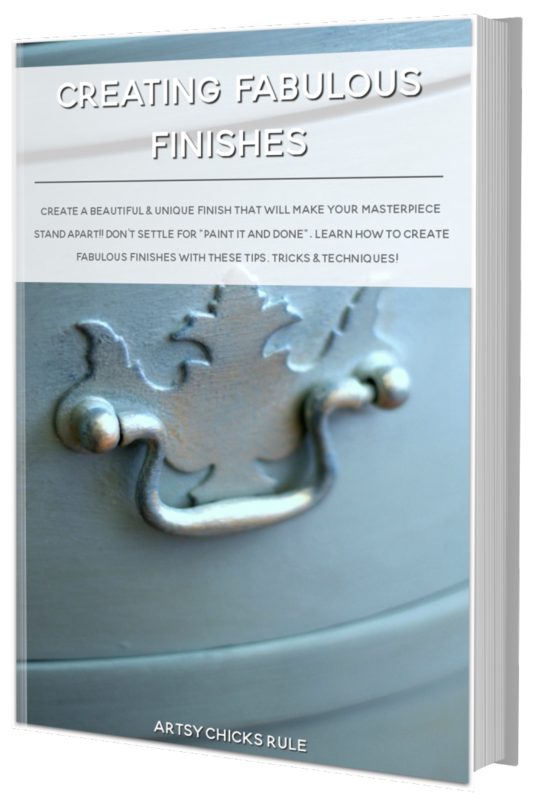 I do not know General Finishes made milk paint. I have used their stain and LOVE it. I used their stain to refinish the kitchen at my last house. It was easy to easy and provided excellent coverage. …and I am second guessing my own eyes! I looked at the photos again..and it does look yellow after compared to the white wall in the background. SO, I went and took a look at the table. White! ;) I think it must be some weird reaction with the camera (and the finish on the table(wax) compared to the finish of the painted wall) I have no idea. Or maybe something I did when I edited it. 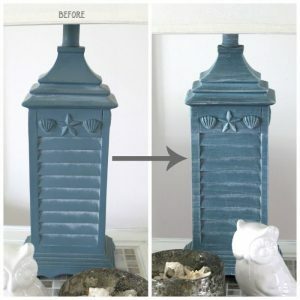 Some of my other “after” photos, the close ups, are much more accurate, color-wise. Haha…so your eyes are not deceiving you Chris! LOL !! I was downstairs painting and got this notification. Had to come up to my office and respond right now. Love it! And I so love and appreciate a good sense of humor! Life is about having fun, right?! I LOVE that! I have a few grain sack pillows with the same blue stripe and foot stools with the red stripes so you’ve definitely given me some new ideas. Thanks for sharing and great job!!! Wonderful transformation! Looks just great! 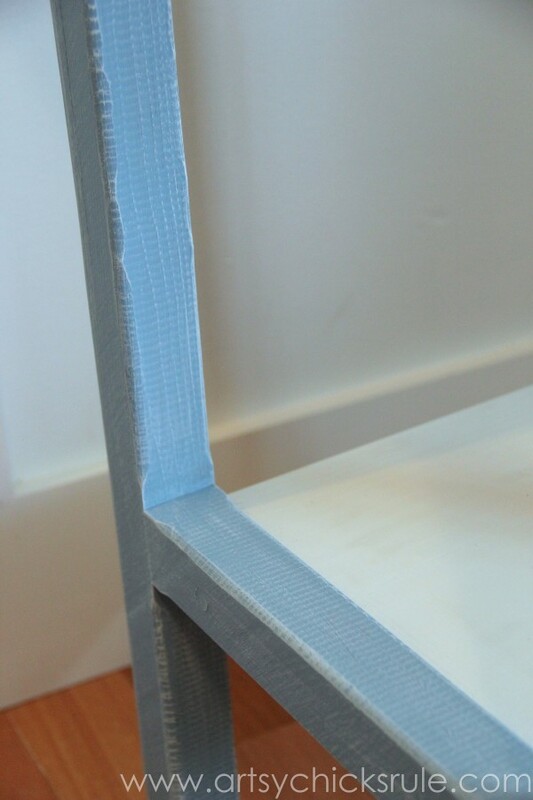 Can you tell me if the General Finishes can be applied without any surface preparation, as in sanding or priming. I know ASCP goes on great without any prep. but is GF milk paint to be considered a prime-free application? 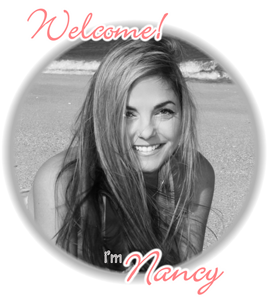 Thanks again, Nancy, for a wonderful and inspiring tutorial! 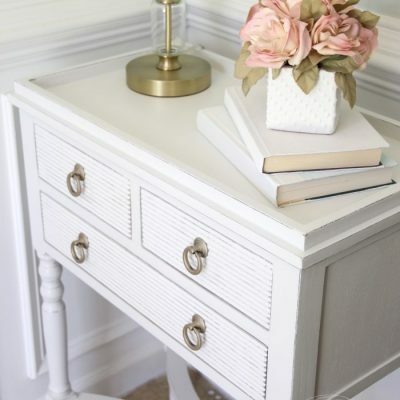 Love it Nancy and adding the white wash and distressing is perfect. 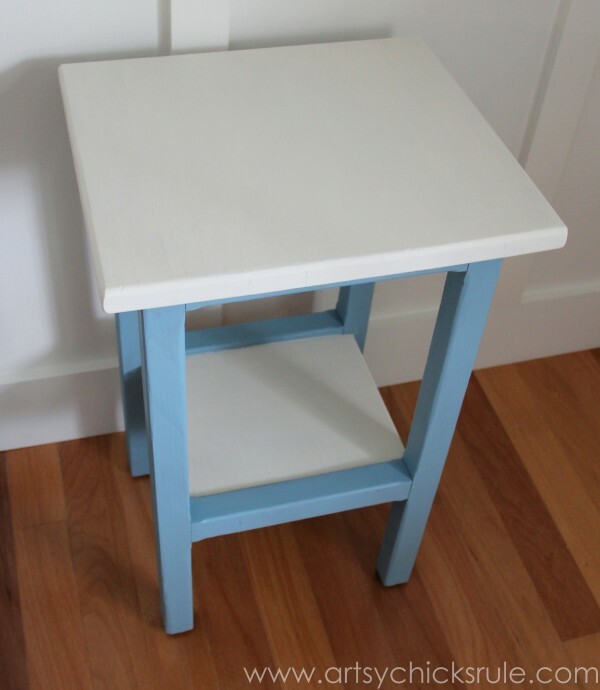 You certainly turned this plain Jane table to fabulous! We have a very similar little table out in shed. It’s got an oak finish on it now (was done in the 80’s, table from swap meet for $10/San Diego). 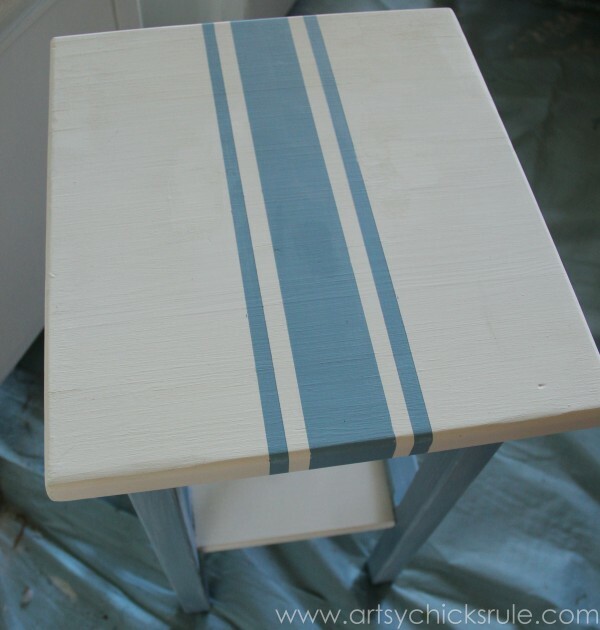 Thought I’d give it a quick sanding and use chalk paint. I make my own, can’t afford the other stuff. 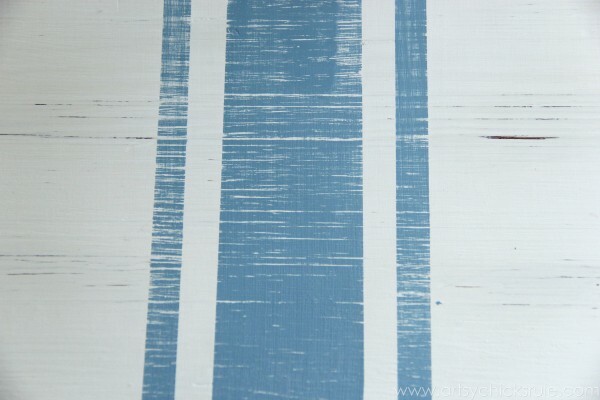 Want to try to do a grain sack stripe job. 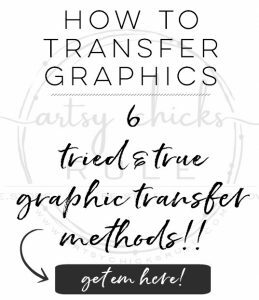 Oh, there are many ways to transfer! Lots of simple ones too even without a projector or Silhouette/Cricut. Although the projector makes the big jobs much easier! ;) I picked mine up on Craigslist for about $35-40. Not much at all! :) I only recently got a Silhouette machine so haven’t dove into that much yet!